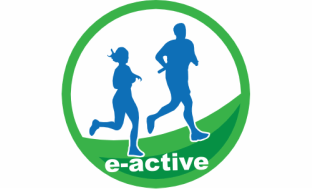 e-active is a new and exciting company designed to encourage and promote physical activity. Whether you enjoy competing in races, love the bling, want to get fit or are passionate about raising money for charity, e-active is perfect for you. Walk, jog, run or cycle to complete virtual races. Initially we will offer an event each month with differing distances and themes. The races can be undertaken at a time and place to suit you, so if you struggle getting to organised race events, childcare difficulties, etc., virtual races are the answer! Simply cover the distance, at a time to suit your busy lifestyle, to qualify for one of our unique medals. A league table of results will be available throughout the duration of the race, to allow you can to compare your race times with that of others. Please check the results page for your finishing position. (Should you not wish for your results to be made public, please advise at time of entering). 10% of all proceeds go to charity. For further information please visit the Charity page.